Bitcoin exchange Mt. Gox Co. apparently ran out of money six months before it announced in February 2014 that it was filing for bankruptcy after tens of millions of dollars worth of the virtual currency and client funds disappeared, investigative sources said Tuesday. The Tokyo-based company seems to have been running a deficit on its balance sheet and started paying some clients with money drawn from other customers’ accounts, the sources said. The fresh allegations emerged after the arrest Saturday of Mark Karpeles, its 30-year-old founder and CEO, for allegedly manipulating virtual currency data to pad his personal cash account. 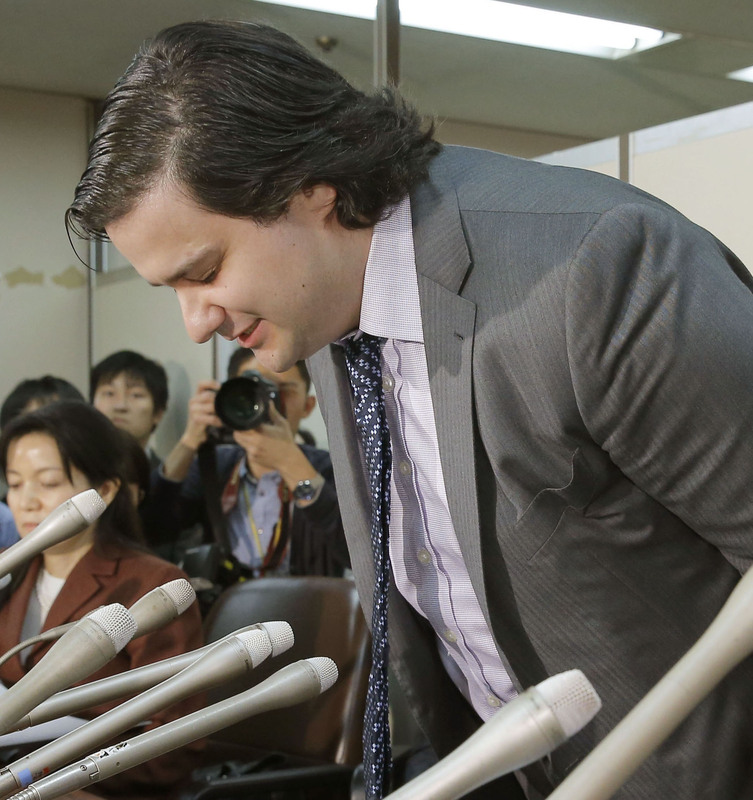 Karpeles, a French national, has denied the charge, according to Tokyo police. On Sunday, he was sent to prosecutors for possible indictment. Given the scandal, Finance Minister Taro Aso said Tuesday that the government will consider setting up regulations on virtual currencies, such as the introduction of a registration or license system for operators of virtual currency exchange markets. “We have to carry out studies” on how the government should regulate the use of virtual currencies, Aso said at a news conference, referring to emerging international discussions over the risk of virtual currencies being used for money laundering and becoming a financial resource for terrorists. Karpeles set up the business in 2011 and built it into the world’s biggest bitcoin exchange. According to company documents and the investigative sources, Mt. Gox had roughly ¥3.8 billion ($30.65 million) worth of balance sheet assets as of March 2013. This included bitcoins and cash gained as fees for brokering bitcoin transactions between clients. The U.S. Department of Homeland Security seized Mt. Gox assets of around $5 million kept in U.S. bank accounts around May 2013, saying it was ineligible to operate fund transfer services in the United States. The decision prompted clients in the United States to rush to withdraw money entrusted to Mt. Gox. By August that year, the company appears to have incurred several billion yen in losses, leading liabilities to surpass its assets and capital on its balance sheet. In February 2014, Mt. Gox abruptly shut down all transactions of the virtual currency and filed for court protection, saying it had lost about 850,000 bitcoins, worth around ¥48 billion at the time, and around ¥2.8 billion in funds entrusted by clients. 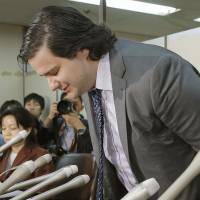 The police are also investigating whether Karpeles consolidated customer and corporate funds in a bank account held by the company and embezzled around ¥1.1 billion, funneling funds to an account of an affiliate company and for personal use.